We love to have matar dhokli throughout the year, but especially in cooler months, we simply crave for more. Hubby being a crazy fan of any dhokli dishes, so traditional Gujarati Daal Dhokli and Guvar Dhokli appears on our dining table very often. This matar dhokli recipe belongs to my sister in law (husband's sister), actually, I only found out about this recipe exactly 23 years ago from her. It's just so simple to make, if not easier, and wonderfully delicious. No need for fancy ingredients and definitely do not require any MasterChef skills! Matar/Vatana dhokli is a popular vegan one-pot meal from the Indian state of Gujarat. 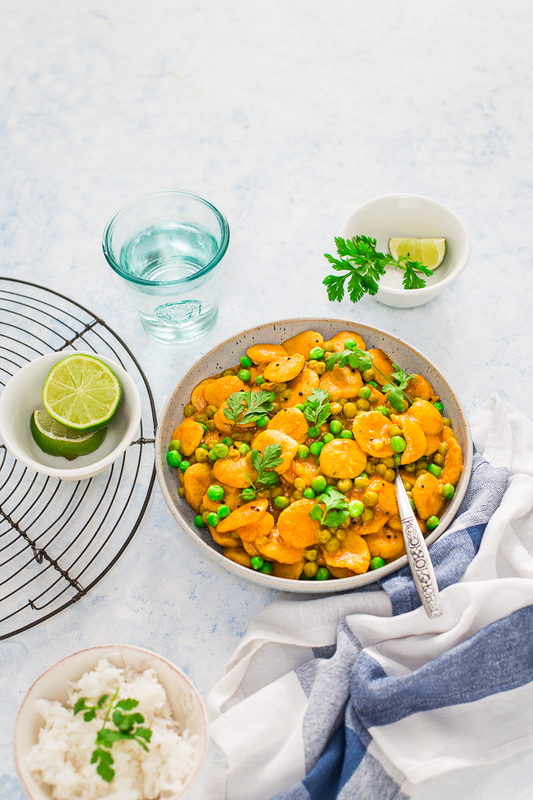 In this particular dish, savoury Indian style pasta or dumplings cooked in a mildly spiced green peas curry. Vegetables-definitely you'll require Matar/Vatana/Green Peas for this amazing Gujarati dish. You can use fresh or frozen green peas. You'll need tomato puree and minced green chillies and ginger. Flours-Wheat flour ( chapatti flour) and a small amount of besan or chickpea flour to make dhokli. You can omit chickpea flour if you don't want to use. Spices and Masalas-you'll need basic masalas such as red chilli powder, turmeric, Ground cumin and coriander and salt. Mustard seeds and carom (ajawain) seeds are must for this recipe. Also, you'll need asafoetida (hing), this helps in to digest the food better and easily available in any Indian shop. Oil - Although you can any type of oil for this recipe, but I love the flavours of groundnut oil in this recipe. 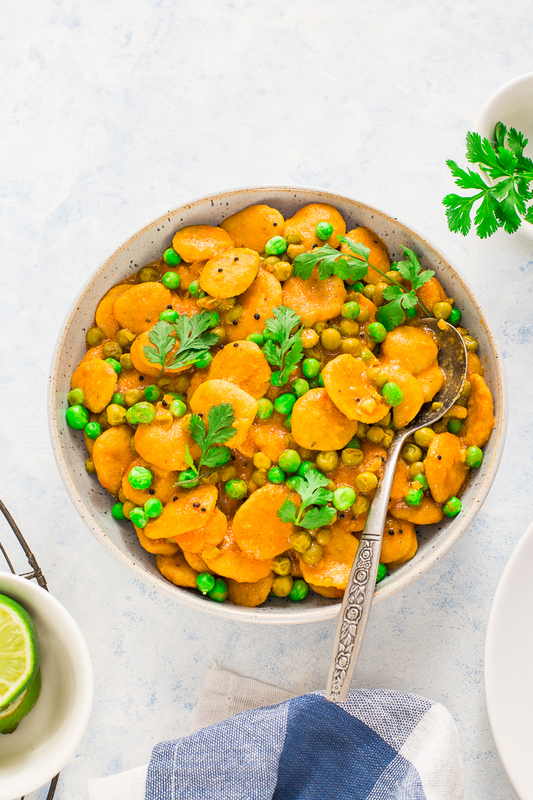 HOW TO MAKE MATAR DHOKLI IN AN INSTANT POT? To make Matar dhokli in IP is an easy affair and can be done in very little time. Have a look at my video below for an instant pot version, also a written recipe in a recipe card. CAN I MAKE MATAR DHOKLI ON STOVE? My answer is yes, yes yes! I have grown up on making Dhokli over the stove when there were no pressure cooker or electric pressure cooker in our lives, almost everything we made on the stove. It may take little longer to cook the dish. First in a big bowl combine both flours, salt, red chilli and turmeric powders, carom seeds, add oil and knead the stiff dough using water. Now make very small balls ( small marble size ) from the dough, then press them slightly to make round and flat dhokli. Once all the dhoklis are made, cover with the clean cloth and leave it aside. In a heavy bottom pan or kadai, heat oil. Add mustard seeds and hing. Once it splutters add tomato puree and green peas. Mix well. Add minced green chillies and ginger, then add all the masalas. Cook the mixture for a couple minutes, add sufficient water. Allow water to boil, when the first boil appears, add pressed dhokli one by one. Cover the pan or kadai with the lid, keep the heat on medium and let the dhokli cook for 20-22 minutes or until done. Turn off the heat and serve hot, garnish it with the freshly chopped coriander. 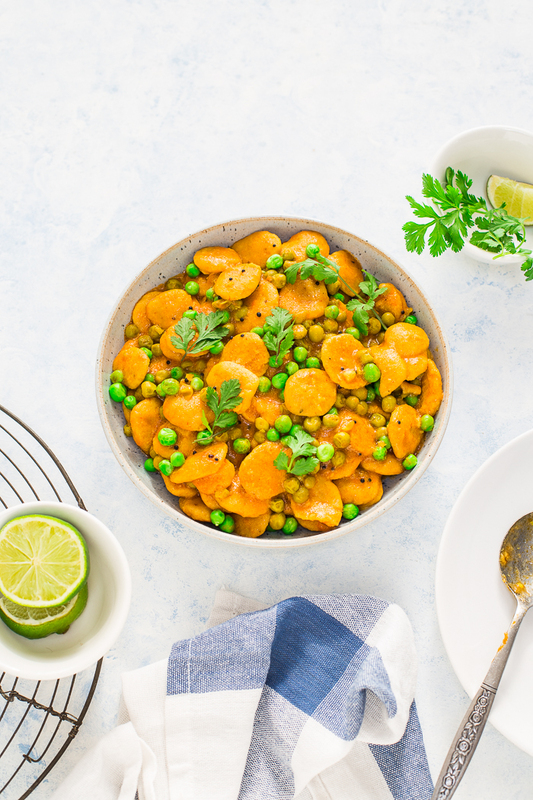 This delicious, vegan and no onion-garlic Matar/Vatana Dhokli is an easy and straightforward recipe, using an instant pot, it comes together only in 15 minutes! In a big bowl add all the dhokli ingredients and add very little water at a time and knead a stiff dough. Set the instant pot on SAUTE mode for 6 minutes. Heat oil in the pot, add mustard seeds and hing. As soon as seeds splutter, add tomato puree (BE CAREFUL) and mix well. Then add matar-green peas and mix. Add crushed chillies and ginger and all the spices masala. Combine well and add 2 cups of water, and allow mixture to come to boil. Now add all the pressed dhokli into the mixture one by one. Stir a couple of times, make sure nothing stuck to the bottom of the pan. Close and lock the lid of the pot. Make sure vent is on the sealing. Press the MANUAL and select HIGH PRESSURE. Once done let the pressure to release naturally for 5 minutes. Then manually release the steam. Open the lid and mix the matar dhokli, add lemon juice and freshly chopped coriander. Serve HOT with salad, yogurt and plain steamed rice. 15 minutes is actually cooking time in the instant pot. Making the whole dish may require more time. If you are stuck for the time instead of pressing small dhokli, roll out the dough on a worktop and cut the dhokli in the small pieces with the knife to save the time. Looks amazing! I have never tried this nor tasted so far :) Your display and recipe surely is tugging me to do this ASAP! Beautiful share dear <3 Your instant pot version is egging me on further! Lovely colors. I have never heard about this dish. Loved your descriptions which clearly explained about dhokli. Interesting to know about this dish and bookmarked to try sometime soon. Thanks Narmadha, please do share your feedback with us if you try this recipe. I love all things about Gujarati cuisine. I have fondest Dhokli memories prepared by Mom and Masi. Though I have never tasted vatana dhoklis. It looks yummmmm. Such cute little dhoklis...love the idea of making them round instead of the usual diamond shape or squares. I love matar dhokli, its my all time comfort food. I love dal dhokli but never had dhokalis with matar. Will try making this in my Instant pot..